In spite of the successes gained by the Russians in Galicia in the autumn, the situation was very uncertain in the spring of 1915. On both sides preparations were being made for a fierce renewal of the struggle to which the fighting of January and February was only the prelude. On the Russian side it looked as if everything possible had been done to strengthen the army's fighting power and assure the normal flow of supplies. The Tsar, at any rate, believed that it was so, on the faith of the reports he had received. He had placed all his hopes on the success of this spring campaign. Right; Nicholas with his troops. The Austrians were the first to take the offensive, but the Russians counter-attacked vigorously, and their superiority was soon made manifest all along the front. In the first fortnight of March their successes were continued. On the 19th they captured the fortress of Przemysl. The whole garrison and considerable booty in war material fell into their hands. There was tremendous excitement in the country. The Tsar returned from G.H.Q. on March 24th. He was in high spirits. Were the fortunes of war at length going to turn in favour of Russia? In the middle of April Russian divisions stood on the crest of the Carpathians and menaced the rich plains of Hungary. The Austrian army was at the end of its tether. But these successes had been bought at the price of enormous losses, and the mountain fighting continued under conditions which were extremely trying even for the victor. The prolongation of the war was also beginning to show effects on the population at home. It had begun to feel the high cost of food and the poverty of communications was paralyzing all economic life. There must be no delay in finding a solution. But Germany could not remain indifferent to the dissolution of the Austrian army, and as soon as she clearly appreciated the danger she made up her mind to avert it by taking every step in her power. Several German army corps had been massed east of Cracow and placed under the command of General Mackensen, who was to take the offensive against the flank of the Russian army and try to cut the communications of the troops operating in the Carpathians. The onslaught began in the first days of May, and under the pressure of the Germans the Russian army of Western Galicia was obliged to retreat rapidly to the east. It had to accept the loss of the Carpathians, the capture of which had cost so much blood and effort, and descend into the plains.- The troops fought with remarkable courage and endurance, but they were cruelly short of arms and ammunition. The retreat continued. On June 5th Przemysl was lost, and on June 22nd Lemberg. By the end of the month all Galicia-that Slav land the conquest of which had filled all Russian hearts with joy had been evacuated. Meanwhile the Germans had begun as vigorous offensive in Poland and made rapid progress in spite of the fierce resistance of the Russians. It was a grave moment. The whole Russian front had been shaken and given way under the pressure of the Austro-German armies. Men wished to know who was responsible for these disasters. They called for the guilty and demanded their punishment. The development of events had been a terrible blow to the Tsar. It had been a shock, especially as he had certainly not expected anything of the kind. But he set his teeth against adversity. On June 25th he dismissed the Minister of War, General Sukhomlinov, whose criminal negligence seemed to have been responsible for the fact that it was impossible to Secure the army's supplies. He replaced him by General Polivanov. On the 27th he summoned a conference at G.H.Q. at which all the Ministers were present. It was a question of rousing all the energies of the country, of mobilizing all its forces and resources for the life-and death struggle with the hated foe. It was decided to summon the Duma. The first sitting took place on August 1st, the anniversary of the declaration of war by Germany on Russia. The firm and courageous attitude of the Assembly did a good deal to calm the public agitation. But while calling on the whole nation to co-operate in the defence of the Fatherland, the Duma demanded that the guilty should be discovered and punished. A few days later the Tsar appointed a "Commission of Enquiry" with a view to fixing responsibility for the nation's misfortunes. Meanwhile the German offensive in Poland had made further progress. On August 5th Warsaw was abandoned by the Russians, who withdrew to the right bank of the Vistula. On the 17th Kovno was lost. One after the other all the Russian fortresses fell before the onslaught of the enemy, whose advance no obstacle seemed capable of staying. By the end of August the whole of the Government of Poland was in the hands of the Germans. The reverses assumed the proportions of a catastrophe which endangered the very existence of the country. Should we be able to stop the invading hordes or should we have to follow the precedent of 1812 and withdraw into the interior, thus abandoning Russian soil to the enemy? Had all our willing sacrifices brought us nothing? The country was suffering from the incessant withdrawals of men and from requisitions. Agriculture was short of labour and horses. In the towns the cost of living was rising with the disorganization of the railways and the influx of refugees. The most pessimistic news passed from mouth to mouth. There was talk of sabotage, treason, etc. Russian public opinion, so changeable and prone to exaggeration whether in joy or sorrow, indulged in the most gloomy forebodings. It was just when Russia was passing through this acute crisis that Nicholas II decided to take the command of his armies in person. For several months the Tsarina had been urging the Tsar to take this step, but he had stood out against her suggestion as he did not like the idea of relieving the Grand-Duke Nicholas of the post he had given him. When the war broke out his first impulse had been to put himself at the head of his army, but, yielding to the representations of his Ministers, he had abandoned an idea which was very close to his heart. He had always regretted it, and now that the Germans had conquered all Poland and were advancing on Russian soil, he considered it nothing less than criminal to remain away from the front and not take a more active part in the defence of his country. "You have no idea how depressing it is to be away from the front. It seems as if everything here saps energy and enfeebles resolution. The most pessimistic rumours and the most ridiculous stories are accepted and get about everywhere. folk here care nothing except for intrigues and cabals, and regard low personal interests only. Out at the front men fight and die for their country. At the front there is only one thought-the determination to conquer. All else is forgotten, and, in spite of our losses and our reverses, everyone remains confident. Any man fit to bear arms should be in the army. Speaking for myself, I can never be in too much of a hurry to be with my troops. GILLIARD NOTE: It was the same sentiment which made him say to an officer of his suite after his abdication: just to think that, now I am Tsar no longer, they won't even let me fight for my country!" words reveal the very depths of his soul. The Tsarina was able to take advantage of this great ambition. She set herself to overcome the scruples which considerations of another character inspired. She desired the removal of the Grand-Duke Nicholas, whom she accused of secretly working for the ruin of the Tsar's reputation and prestige and for a place revolution which would further his own ends. On the strength of certain information she had received from Madame Vyrubova, she was also persuaded that G.H.Q. was the centre of a plot, the object of which was to seize her during the absence of her husband and confine her in a convent. The Tsar on the other hand, had full confidence in the loyalty of the Grand-Duke Nicholas. He considered him incapable of any criminal action, but he was compelled to admit his complicity in the intrigue against the Tsarina. Yet he did not give way until the imperious instinct urging him to put himself at the head of his army had become an obligation of conscience. By intervening personally in the struggle he hoped to show the world that the war would be fought out to the bitter end and prove his own unshakable faith in ultimate victory. In this tragic hour he thought it was his duty to stake his own person, and as head of the state to assume the full burden of responsibility. By his presence among the troops he wished to restore their confidence, for their moral had been shaken by the long series of reverses, and they were tired of fighting against an enemy whose strength consisted principally in the superiority of his armament. In spite of the recent retreats, the prestige of the Grand-Duke Nicholas was still considerable in Russia. During this first twelve months of the war he had given proof of resolution and an iron will. The fact that he was deprived of his command in times of defeat indicated that he was held responsible, and was bound to be interpreted as a punishment, as unjust on the merits as insulting to his honour. The Tsar fully realised all this, and only decided as he did much against his will. His first idea had been to keep the Grand-Duke with him at G.H.Q., but that would have made the position of the ex-Generalissimo somewhat delicate. 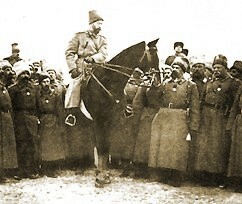 The Tsar decided to appoint him Lieutenant-General of the Caucasus and Commander-in-Chief of the army operating against the Turks. The Tsar communicated his decision to take over the Supreme Command to his Ministers at a council which took place at Tsarskoe-Selo a few days before his departure for G.H.Q. The news threw most of those present into utter consternation, and they did their best to dissuade him from his project They pointed to the grave difficulties in the way of public business if the head of the state was to spend practically all his time at G.H.Q., more than five hundred miles from the seat of government They referred to his innumerable duties and asked him not to take new and crushing responsibilities upon himself. In the last resort they begged him not to place himself at the head of his troops at a moment so critical. In case of failure he was running a risk of exposing himself to attacks which would undermine his prestige and authority. Yet the Tsar was not to be moved. Several members of his immediate entourage made several further attempts to convince him, but these failed also, and on the evening of September 4th he left for Mohilev, where G.H.Q. was established at that time. "With unshakable faith in the goodness of God and firm in final victory we shall accomplish our sacred duty in defending our Fatherland to the end, and we shall never let the soil of Russia be outraged." He was repeating the oath he had taken at the outset of the war and casting his crown into the arena. 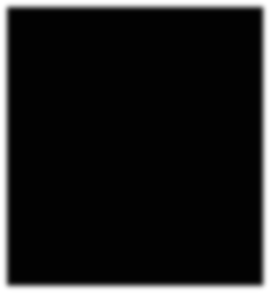 In France and England this announcement came as a surprise which was not without a certain element of apprehension, but this action was regarded as a pledge which irrevocably associated the Russian Empire, in the person of its Tsar, with the fortunes of the Entente and this at a moment when a series of defeats would have been grounds for fearing separatist tendencies. All the great newspapers of the Allied countries emphasised the importance of this decision. It was hoped that it would have a considerable effect on the morale of the Russian army and contribute to further the cause of final victory. In Russia the whole Press raised a shout of triumph, but in sober reality opinion about the wisdom of changing the command was sharply divided at first. In the army itself we shall see that the presence of the Tsar helped to raise the spirits and courage of the men and gave the campaign a new impetus. History will some day reveal the political and military consequences of this step, which was certainly an act of courage and faith on the part of the Tsar himself. As I had feared, the apparent indifference with which Rasputin had been treated during the winter had only been temporary, and at the time of the disasters in May there was a revival of his influence, which grew steadily stronger. The change is easily explained. At the beginning of the war the Tsar and Tsarina were utterly obsessed by the greatness of their task, and had passed through-hours of exaltation in the knowledge of the love they bore their people, a love they felt was reciprocated. That fervent communion had filled them with hope. They believed that they were really the centre of that great national movement which swept over the whole of Russia. The military events of the following months had not shaken their courage. They had maintained their ardent faith in that spring offensive which was to bring about the final success of the Russian armies. When the great catastrophe followed they passed through a time of unspeakable anguish. In her sorrow the Tsarina was bound to feel impelled to seek moral support from him whom she already regarded not only as the saviour of her son, but as the representative of the people, sent by God to save Russia and her husband also. It is not true that personal ambition or a thirst for power induced the Tsarina to intervene in political affairs. Her motive was purely sentimental. She worshipped her husband as she worshipped her children, and there was no limit to her devotion for those she loved. Her only desire was to be useful to the Tsar in his heavy task and to help him with her counsel. Convinced that autocracy was the only form of government suited to the needs of Russia, the Tsarina believed that any great concessions to liberal demands were premature. In her view the uneducated masses of the Russian people could be galvanised into action only by a Tsar in whose person all power was centralised. She was certain that to the moujik the Tsar was the symbol of the unity, greatness, and glory of Russia, the head of the state and the Lord's Anointed. To encroach on his prerogatives was to undermine the faith of the Russian Peasant and to risk precipitating the worst disasters for the country. The Tsar must not merely rule: he must govern the state with a firm and mighty hand. To the new task the Tsarina brought the same devotion, courage, and, alas! blindness she had shown in her fight for the life of her son. She was at any rate logical in her errors. Persuaded, as she was, that the only support for the dynasty was the nation, and that Rasputin was God's elect (had she not witnessed the efficacy of his prayers during her son's illness she was absolutely convinced that this lowly peasant could use his supernatural powers to help him who held in his hands the fate of the empire of the Tsars. Cunning and astute as he was, Rasputin never advised in political matters except with the most extreme caution. He always took the greatest care to be very well informed as to what was going on at Court and as to the private feelings of the Tsar and his wife. As a rule, therefore, his prophecies only confirmed the secret wishes of the Tsarina. In fact, it was almost impossible to doubt that it was she who inspired the "inspired," but as her desires were interpreted by Rasputin, they seemed in her eyes to have the sanction and authority of a revelation. Before the war the influence of the Tsarina in political affairs had been but intermittent. It was usually confined to procuring the dismissal of anyone who declared his hostility to the staretz. 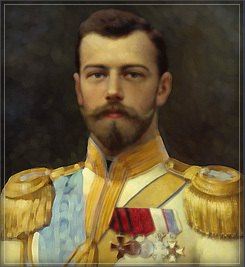 In the first months of the war there had been no change in that respect, but after the great reverses in the spring of 1915, and more particularly after the Tsar had assumed command of the army, the Tsarina played an ever-increasing part in affairs of state because she wished to help her husband, who was overwhelmed with the burden of his growing responsibilities. She was worn out, and desired nothing more than peace and rest, but she willingly sacrificed her personal comfort to what she believed was a sacred duty. Very reserved and yet very impulsive, the Tsarina, first and foremost the wife and mother, was never happy except in the bosom of her family. She was artistic and well-educated, and liked reading and the arts. She was fond of meditation, and often became wholly absorbed in her own inward thoughts and feelings, an absorption from which she would only emerge when danger threatened. She would throw herself at the obstacle with all the ardour of a passionate nature. She was endowed with the finest moral qualities, and was always inspired by the highest ideals. But her sorrows had broken her. She was but the shadow of her former self, and she often had periods of mystic ecstasy in which she lost all sense of reality. Her faith in Rasputin proves it beyond a doubt. It was thus that in her desire to save her husband and son, whom she loved more than life itself, she forged with her own hands the instrument of their undoing.